Snapchat has created a following that is more devoted to its service as a social network than competitors Facebook and Instagram. Eleven percent of teens say they use Snapchat most frequently, according to a report released Thursday by Pew Research Center. Snapchat has not released statistics on its user numbers or growth, but it is rumored to have over 200 million active users. While that number does not closely compare to Facebook's 1.4 billion or reach Instagram's 300 million, it is an audience that appears devoted and growing, especially among these teen users. Snapchat is in the top three of social networks used by teens, overtaking Twitter, Google+ and Vine. The app falls below Facebook and Instagram. Pew surveyed 1,060 teens ages 13 to 17 from September to October 2014 and from February to March 2015. If only Facebook had succeeded in purchasing Snapchat, the social media giant would dominate the board. But Facebook itself is not to be feared as a place teens are fleeing from completely. Snapchat is not as highly ranked for the single-network user. 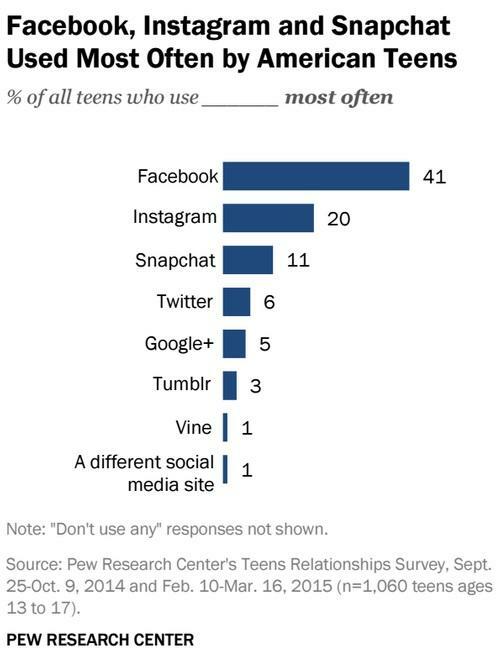 Out of 22 percent of teens who use only one social network, 3 percent use Snapchat and 66 percent use Facebook. Pew’s report pointed to the socio-economic differences between social networks. The findings suggest that Facebook is more likely to be cited as the most used social network by lower-income youth, and Snapchat is more likely to be cited by wealthy teens. For households earning less than $50,000 a year, 49 percent of teens reported they use Facebook most often compared to 37 percent of teens in the higher income bracket. For families earning more than $75,000, 14 percent of teens say they use Snapchat as their top network compared to 7 percent of teens whose household earnings are less than $30,000. 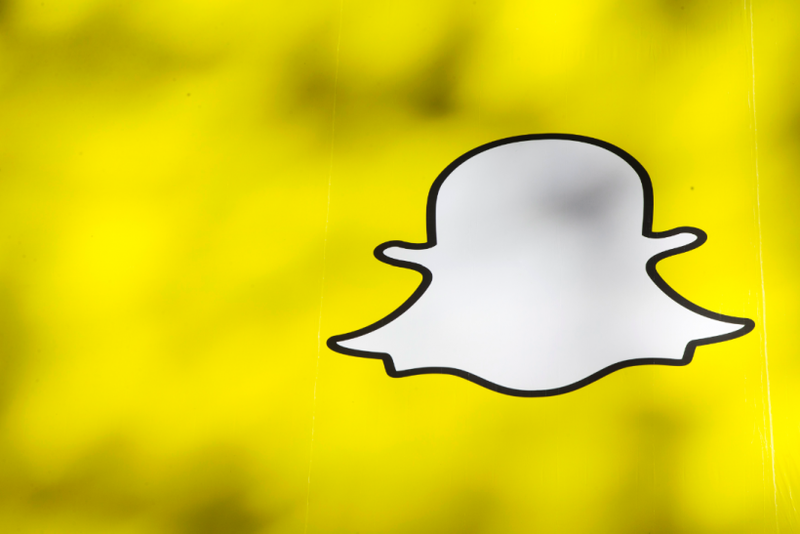 So for Snapchat, that's building on an attractive network of users. The company, last rumored to be valued at $15 billion, only recently started generating revenue. Snapchat released its first sponsored video in October 2014. It later launched the Discover network -- a way for editorial outlets to pay for visual stories -- in January 2015.